The new Primos Trigger Stick Gen 3 adjusts to your desired height with just one hand and the pull of a trigger. *Select a billing address or enter a new address. *Select a shipping address or enter a new address. The new Primos Trigger Stick Gen 3 adjusts to your desired height with just one hand and the pull of a trigger. The new Quick Detach Yoke System with Integrated Lock makes it easier than ever to switch from gun to optics and back again. Smoother panning action helps you rotate, scan and find your perfect shot effortlessly. Its the next level of Trigger Stick to give you the next level of confidence in every shot in all terrain - standing, sitting, or kneeling! 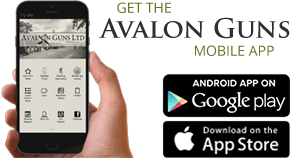 © 2018 Avalon Guns Limited - Company Registration No. : 05683439 - 191 High Street, Street, Somerset, BA16 0NE. All Rights Reserved. Avalon Guns Limited is acting as a credit broker offering finance products from Omni Capital Retail Finance Limited. Avalon Guns Limited is authorised and regulated by the Financial Conduct Authority, registration number 05683439. Credit is subject to status.